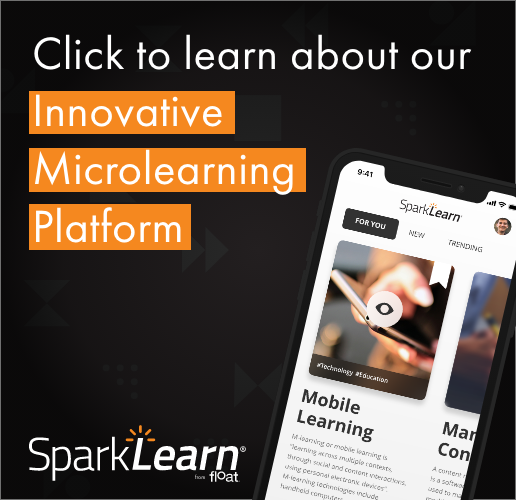 Three of Float’s mobile learning experts will speak during two eLearning Guild webinars this week. On Wednesday, Float Lead Developer Daniel Pfeiffer will present My American Farm during the free Best of eLearning DemoFest webinar on Wednesday, Nov. 13, at 12 p.m. CT. Voted Best Mobile Solution at DevLearn, the game went under a successful conversion from a desktop browser game to being playable on iOS and Android mobile devices. Author and Float’s managing director, Chad Udell, will present the forum-opening keynote to the Guild’s mLearning Online Forum. In “Making the Move to Mobile—Understanding How Device Affordances Affect Learning Design,” he’ll examine mobile affordances and L&D’s role in the mobile climate. You’ll explore topics such “big data”, the rise and unexpected uses of geo-spatial data, the use of sensors to track learner behaviors and progress, the move away from learning as memorization and towards performance support using multiple forms of learning, the disappearance of tablets as a category of mobile devices, new methods of interacting with mobile devices, the implications of ubiquitous mLearning, and the embodiment of learning as mobile computing becomes more tightly integrated with the human body.